As a Photographer there is nothing better than seeing your images displayed. 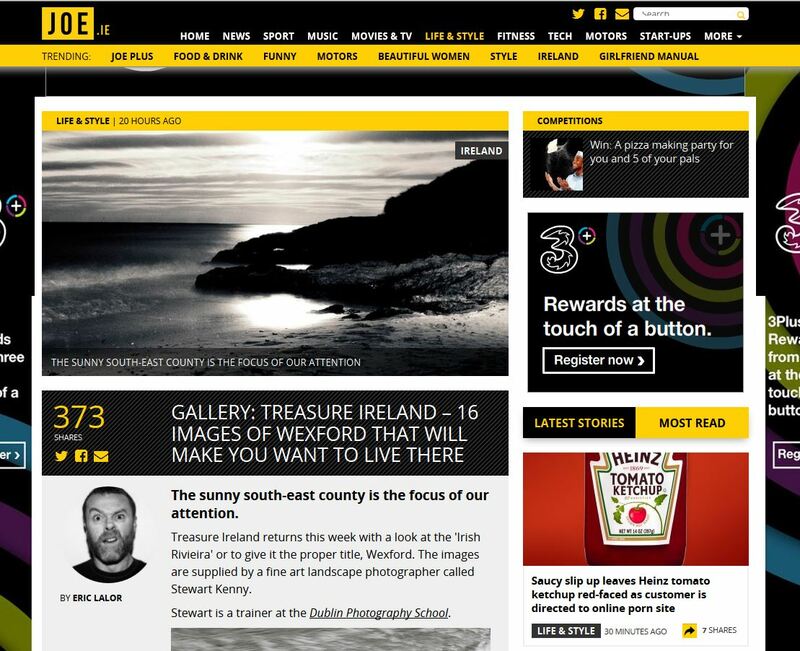 So when I was contacted by Eric Lalor from Joe.ie about putting together a feature for their “Treasure Ireland” section, I was happy to oblige. Eric was looking for me to showcase 16 Images of Wexford, which would bring to life the best the county had to offer. This was a very tall order for such a beautiful part of Ireland. But I did my best and was delighted with the fantastic response it received on Facebook and Twitter. I was overwhelmed at the support I received from my students, colleges and friends as well as other photographers around Ireland. Here is the link to the “Treasure Ireland Wexford” article here, please feel free to share and comment and thanks for the ongoing support.